Endowed Gifts | UWL Foundation Inc.
An endowment gift to UWL Foundation Inc. today provides a brighter picture for our future. When you make a donation to our endowment, you give a gift with both immediate and long-term benefits. Endowment donations are invested. A portion of the annual income from the investment is used to address immediate needs at UWL Foundation. The remaining funds are reinvested to ensure indefinite support. View and download your FREE copy of Endowments: A Gift That Lasts Forever. Longtime supporters Susan and Charlie have two goals: First, they want to make sure UWL Foundation continues to receive support after they're gone. Second, they want to memorialize Charlie's parents, Mr. and Mrs. Jones. Susan and Charlie make a $25,000 donation to UWL Foundation, which we invest, and each year, a portion of the income from the invested money will be used to support our mission in honor of the Joneses. Plus, Susan and Charlie qualify for a federal income tax charitable deduction on their taxes. Your payments depend on your age at the time of the donation. 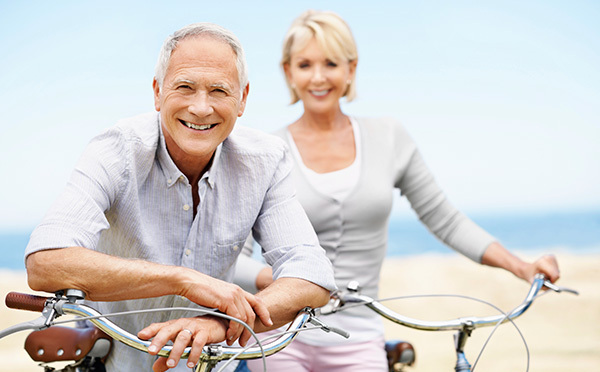 If you are younger than 60, we recommend that you learn more about your options and download this FREE guide Plan for Retirement With a Deferred Gift Annuity. Contact Gregory Reichert at 608.785.8672 or greichert@uwlax.edu to discuss endowed gifts. If you include UWL Foundation in your plans, please use our legal name and federal tax ID. Legal Name: University of Wisconsin-La Crosse Foundation Inc.
Not Sure How to Begin Planning? Get your FREE personal estate planning kit. A charitable bequest is one or two sentences in your will or living trust that leave to UWL Foundation Inc. a specific item, an amount of money, a gift contingent upon certain events or a percentage of your estate. "I give to UWL Foundation Inc., a nonprofit corporation currently located at Cleary Alumni & Friends Center, 615 East Avenue, North, La Crosse, WI 54601, or its successor thereto, ______________ [written amount or percentage of the estate or description of property] for its unrestricted use and purpose." A revocable living trust is set up during your lifetime and can be revoked at any time before death. They allow assets held in the trust to pass directly to beneficiaries without probate court proceedings and can also reduce federal estate taxes. The person receiving the gift annuity payments. A donor advised fund is an account that you set up but which is managed by a nonprofit organization. You contribute to the account, which grows tax-free. You can recommend how much (and how often) you want to distribute money from that fund to UWL Foundation or other charities. You cannot direct the gifts. An endowed gift can create a new endowment or add to an existing endowment. The principal of the endowment is invested and a portion of the principal’s earnings are used each year to support our mission. Tax on the growth in value of an asset—such as real estate or stock—since its original purchase. Securities, real estate or any other property having a fair market value greater than its original purchase price. Real estate can be a personal residence, vacation home, timeshare property, farm, commercial property or undeveloped land. A charitable remainder trust provides you or other named individuals income each year for life or a period not exceeding 20 years from assets you give to the trust you create. You give assets to a trust that pays our organization set payments for a number of years, which you choose. The longer the length of time, the better the potential tax savings to you. When the term is up, the remaining trust assets go to you, your family or other beneficiaries you select. This is an excellent way to transfer property to family members at a minimal cost. You fund this type of trust with cash or appreciated assets—and may qualify for a federal income tax charitable deduction when you itemize. You can also make additional gifts; each one also qualifies for a tax deduction. The trust pays you, each year, a variable amount based on a fixed percentage of the fair market value of the trust assets. When the trust terminates, the remaining principal goes to UWL Foundation as a lump sum. You fund this trust with cash or appreciated assets—and may qualify for a federal income tax charitable deduction when you itemize. Each year the trust pays you or another named individual the same dollar amount you choose at the start. When the trust terminates, the remaining principal goes to UWL Foundation as a lump sum. A beneficiary designation clearly identifies how specific assets will be distributed after your death. A charitable gift annuity involves a simple contract between you and UWL Foundation where you agree to make a gift to UWL Foundation and we, in return, agree to pay you (and someone else, if you choose) a fixed amount each year for the rest of your life.